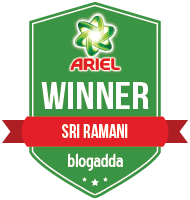 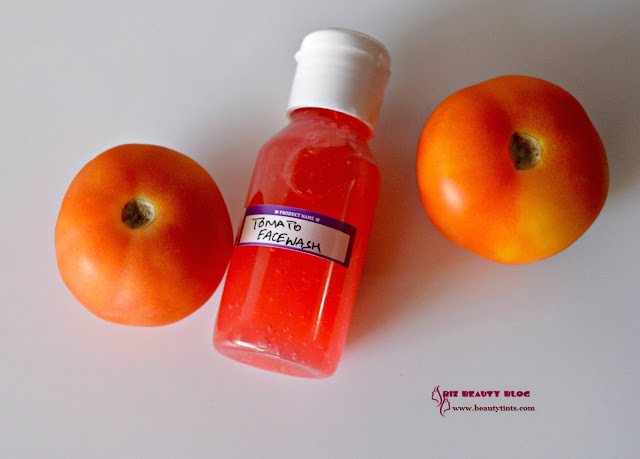 Sriz Beauty Blog: Aroma Essentials Tomato Face Wash Review!!! 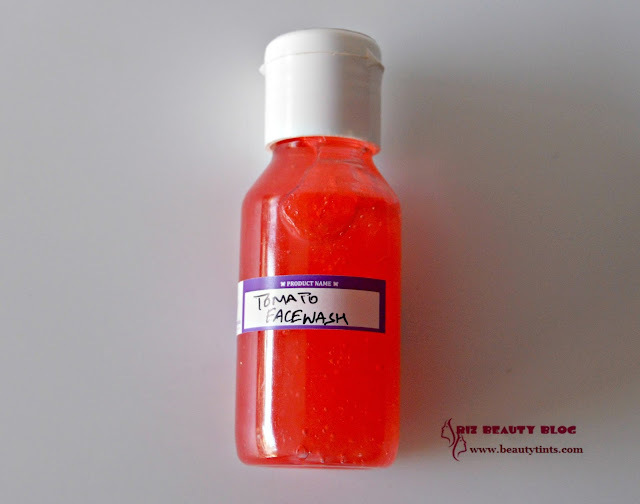 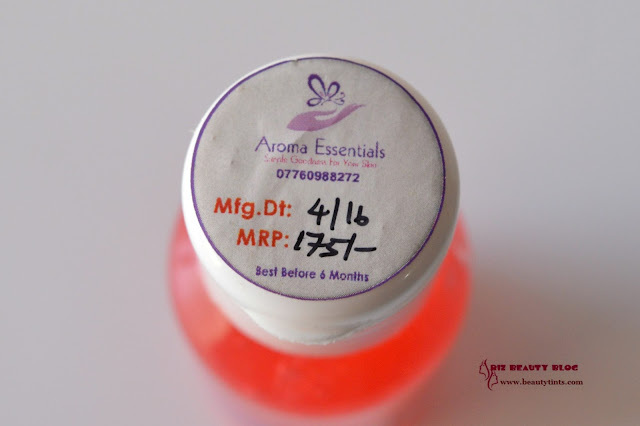 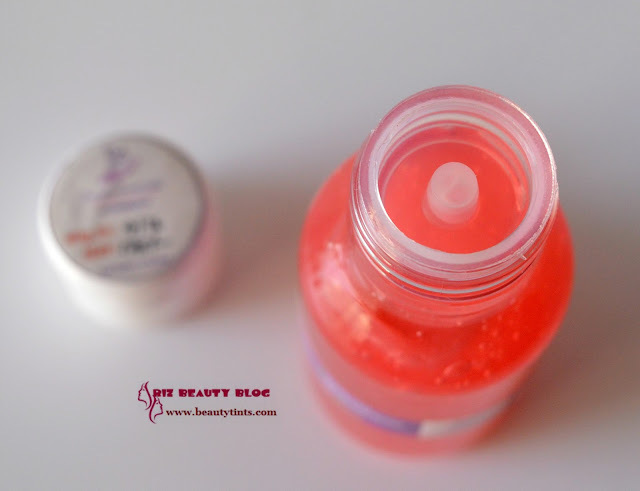 Today I am reviewing the newly launched Tomato Face Wash from Aroma Essentials.It is a gel face wash meant specially for oily to combination skin. 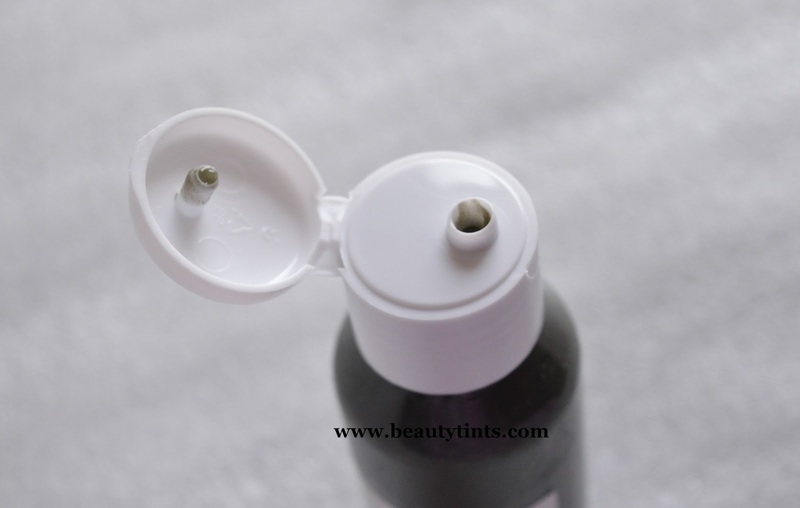 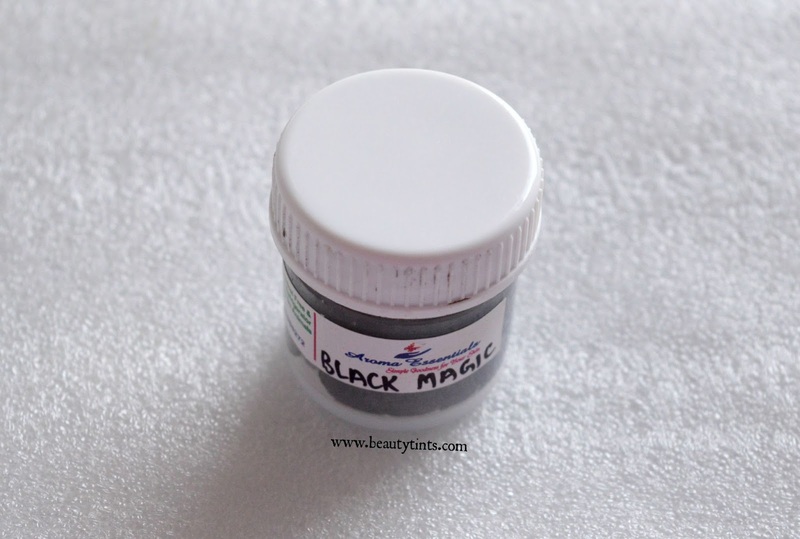 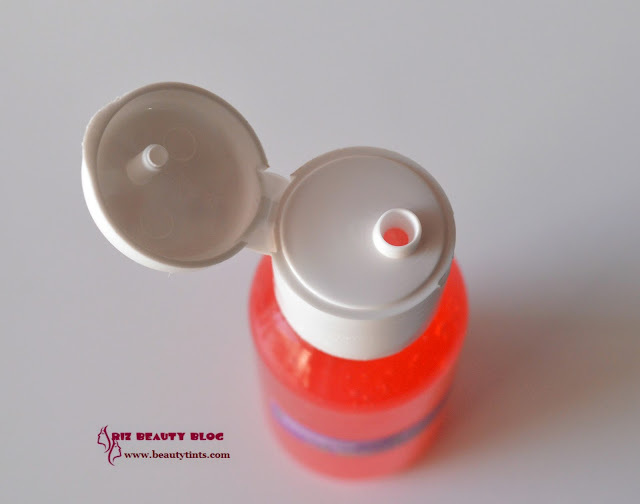 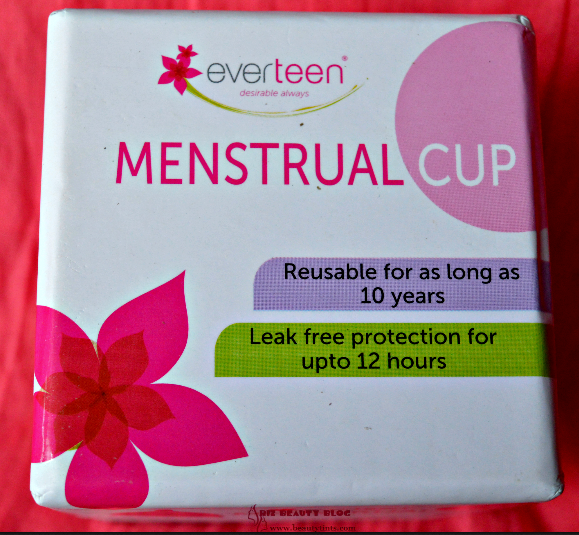 Packaging : It comes in a cute little plastic bottle with a flip cap and has an inner lid for extra protection. 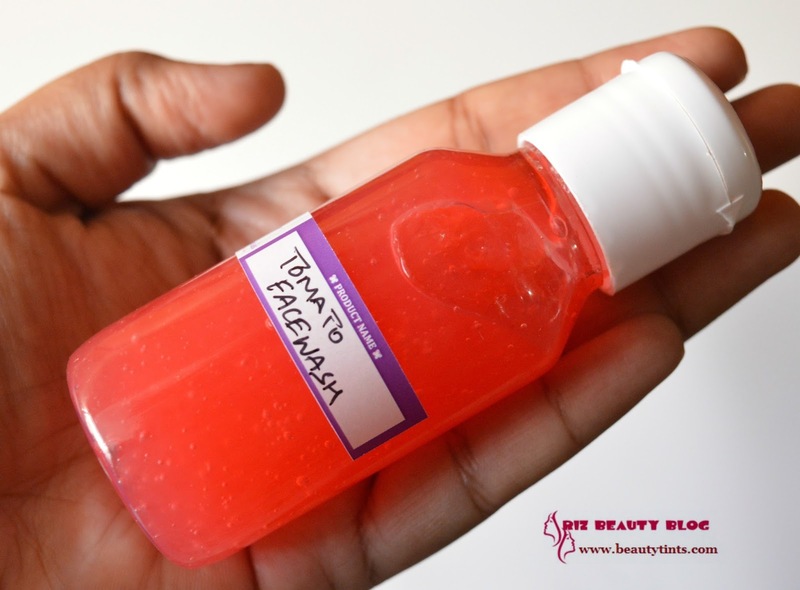 Color & Texture : It is a bright red colored soft gel face wash.
My Views On the Product : This Aroma Essentials Tomato Face wash is a bright red colored face wash with a gel consistency. 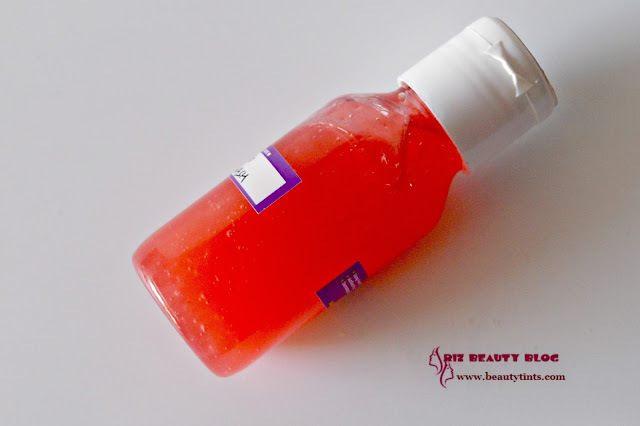 It resembles pure tomato pulp. 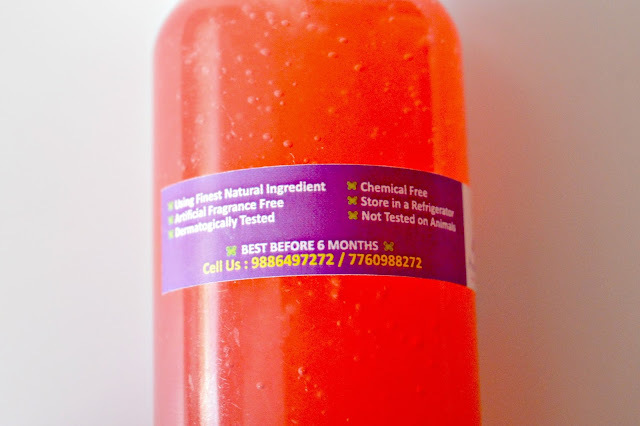 This has a very mild fragrance.It is completely natural,soap free and sulfate free face wash and so it doesn't lather but deep cleanses the skin from with in very effectively.It removes all the dirt and oil completely in one wash with out leaving any residues behind and it doesn't dry out the skin and doesn't give any stretchy feel after usage..It makes skin clean and clear.It also brightens up the complexion instantly.On regular usage,it helps in controlling oil and acne to good extent.Just a pea sized amount is enough every time and so easily one bottle lasts longer and makes it cost effective.The ingredients are pure and natural ones.It contains tomato pulp,strawberry pulp,sandalwood & cedar wood essential oils.This face wash should be stored in a refrigerator,as it is preservative free and also free from other harmful ingredients. Final Conclusion about Aroma Essentials Tomato Face Wash : Those who have oily skin and who are prone to frequent break outs should give this amazing face wash a try!!! 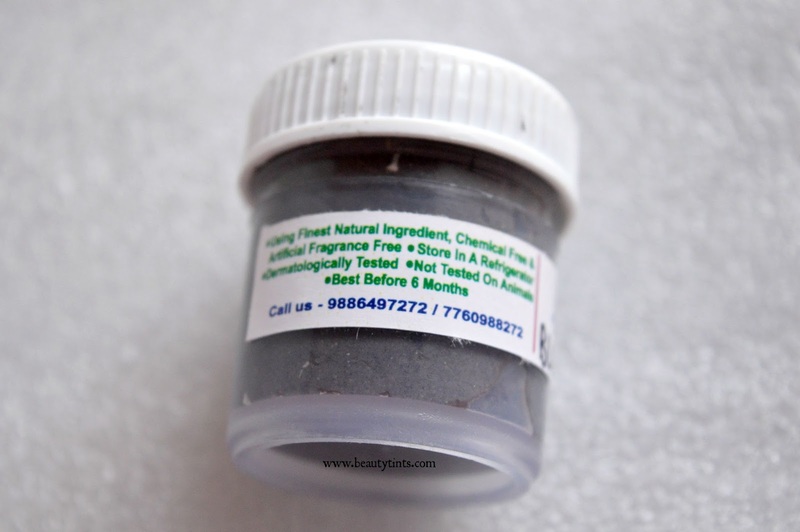 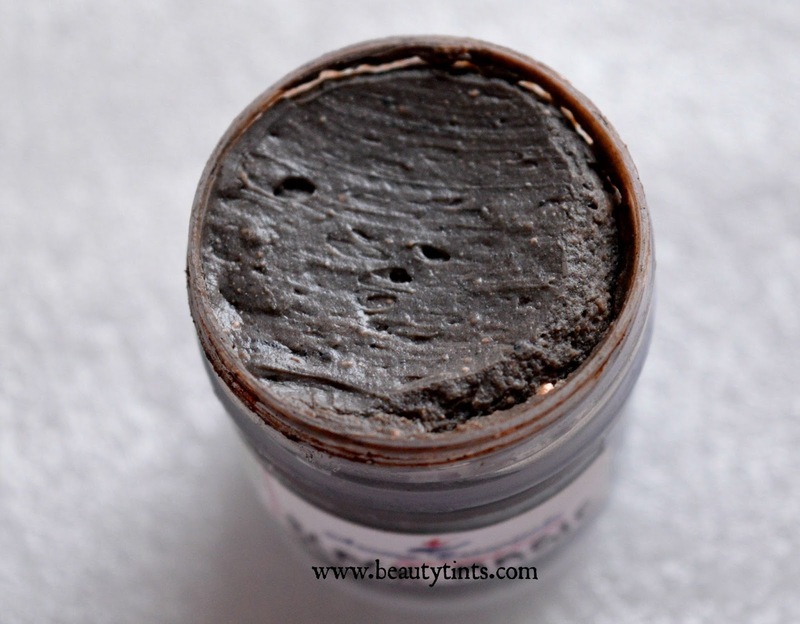 Also check out the review of Aroma Essentials Neem Face wash!